Kraken VC is pleased to offer resources and guidance to all of our athletes who want to play volleyball in college. We are entering our 3rd season of integration with the SportsRecruits platform and have found the tool to be invaluable in the student athlete recruiting journey. In addition to the SportsRecruits account which all recruiting age Krakens receive, we offer assistance in creating highlight recruiting videos, recruiting seminars and 1:1 recruiting consultations. For the Kraken VC graduating Class of 2017, we are proud that every 1 of those seniors is attending college sdfInterested athletes should contact Club Director, . Kraken VC is committed in helping our athletes achieve their dreams of playing college volleyball. We have integrated with SportsRecruits to give our student-athletes a competitive advantage in their recruiting journeys. All athletes on the 16s 17s & 18s Reef & Surf teams who would like to play in college will have access to SportsRecruits. Kraken VC will work with our athletes to setup their account and get them started on managing their recruiting journey. The SportsRecruits Recruiting Platform is a state-of-the-art recruiting software that connects student-athletes with every college coach in the country - automatically. 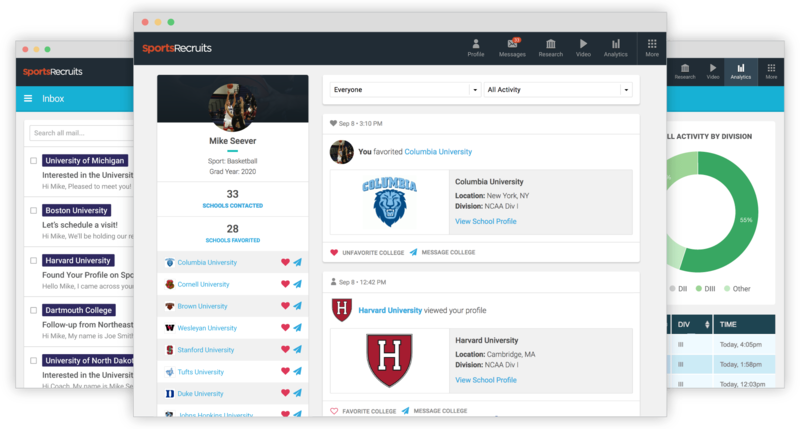 We use the SportsRecruits platform to empower our players in the recruiting process and oversee their efforts and communication with complete transparency. Connections made on the platform have resulted in commitments to the best academic and athletic institutions across the country. If you need additional help with the platform, including personal support from the SportsRecruits Customer Success team, access the Knowledge Base. The NAIA, National Association of Intercollegiate Athletics, is the governing body of smaller schools spread across the country. Scholarship, eligibility and recruiting rules differ from the NCAA.